U.S. pardon services company 'preyed' on Canadians, alleges California D.A. A California District Attorney office has levied $4.7-million in fines against a company accused of preying on Canadians desperate to have their criminal records cleaned up to get into the U.S.
Canadians who tried to get their criminal records cleaned up were disappointed by a California company that offered little for high prices. A California District Attorney's office has levied $4.7 million in fines against a company accused of "preying" on Canadians desperate to have their criminal records cleaned up to get into the U.S. Documents filed by the County D.A. in Superior Court in California last week accuse the company of "defrauding" people by promising to get their past records sealed, taking their payments, then stalling and never delivering promised services. "We started getting phone calls from many of the people thinking this company was us — and it's not," said Chuck Mercier, vice president of Pardon Services, based in Vancouver B.C. The company — recently rebranded as AllCleared online — said that companies often mirror his company's name to cash in on a 27-year reputation. "They look flashy, but unfortunately there are people who are willing to take advantage of people who are trying to better themselves by putting their criminal records in the past, " said Mercier. He wishes the federal government would regulate these businesses. He said clients include Americans and Canadians trying to cross borders. "Often people will promise their kids a spring break trip only to realize after a year or more that no work has been done on their file," said Mercier. This issue affects one in eight Canadians, said Mercier, whose company helps people who want to clean up their record so they can volunteer, coach or travel. U.S. immigration law stops Canadians convicted of crimes from travelling into the country without a waiver of inadmissibility from the Department of Homeland Security. 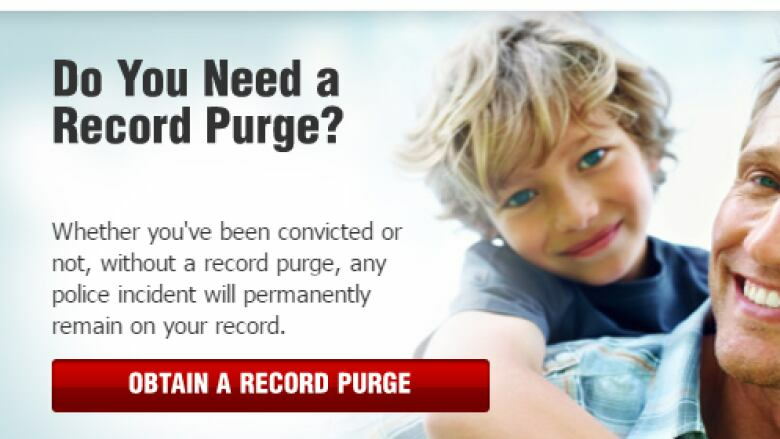 In Canada people can apply to have records sealed or purged under certain circumstances. This can be done, especially in cases where charges were stayed, dismissed or laid when a person was under 18, and five years have lapsed. It involves an application to the Parole Board of Canada. Anybody trying to cross the border with a record of conviction for a crime that carried a year long penalty — anything from drug offenses to prostitution — can be barred. So companies will target people who want their records to disappear, but are daunted by the onerous process. 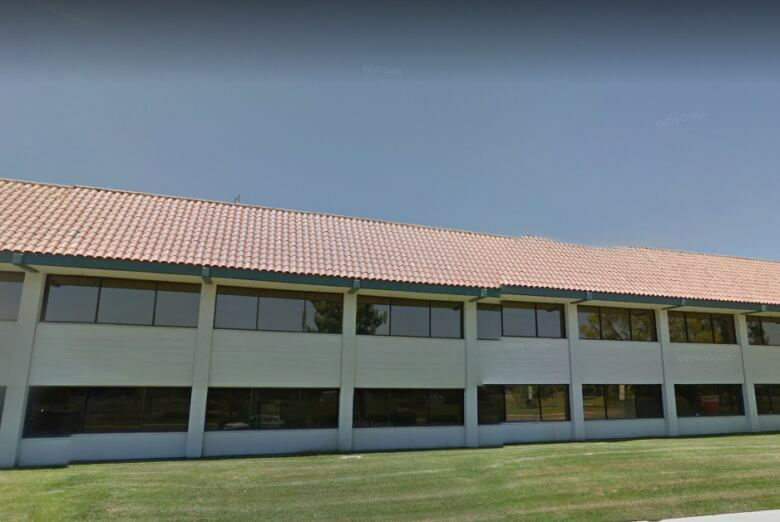 Trusted Pardons, also called Trusted Pardon Services, based in Bakersfield, Calif., was allegedly run by Omar Akhtar, Adil Javed and Jamie Jackson, according to the D.A. complaint documents. Calls and emails to the company — which now appears to be closed — went unreturned, or bounced back. Thousands of clients paid an average of $1,000 to the company in exchange for little or none of the promised services on the company's slick, now defunct website, allege court documents. 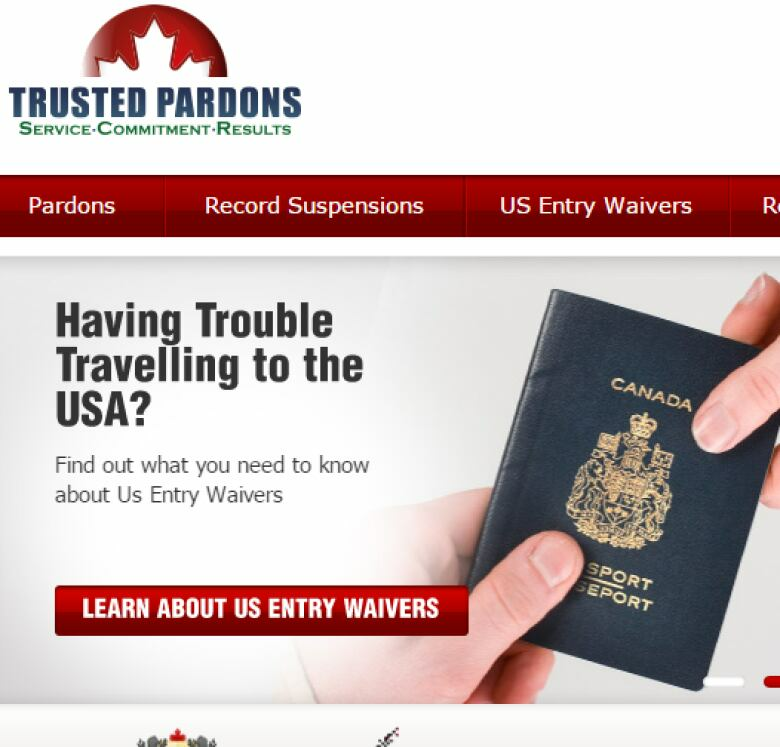 The website promised clients to "seal a criminal record" or provide a waiver allowing the Canadian to enter the U.S.
"At Trusted Pardons, we want to be known as the best experience you've ever wanted to forget. By helping you get forgiven, we want you to forget about poor choices made in your past. We want you to experience our values of Courtesy, Honesty, and Integrity throughout every step of the pardon process, and help you move on with the rest of your life," reads a note defending the company — after a complaint on Yelp — by somebody identifying themselves as the owner, Adil. But clients complained they called the company over and over only to get excuses, and refund refusals, allege D.A. documents. "With thousands of customers paying over $1,000 each on average, defendants have committed large-scale fraud," the district attorney alleged in court documents. The company advertised on social media for eight years, between 2009 and 2016. Customers who filled out an online form were contacted by an employee who promised to complete the application within three months, allege U.S. complaint documents which described the sales as high pressure. Most people paid about $1,000 in the end, and another $200 if they opted to cancel later, documents claim. The documents allege applications were routinely never processed, paperwork never sent in. The district attorney is seeking civil penalties of $1.25 million for false advertising, $3.125-million for unfair competition and $300,000 for violations of the business and professions code, against a disabled person or senior citizen.